Agile sprints have revved up the pace of software development to the point where new apps and features are being released every 1 to 2 weeks, and with mobile-oriented sites and applications, testers have even more ground to cover. Does testing automation have the agility to reel in the testing bottlenecks caused by manual testing? Is there a right way to combine the two for your specific needs? 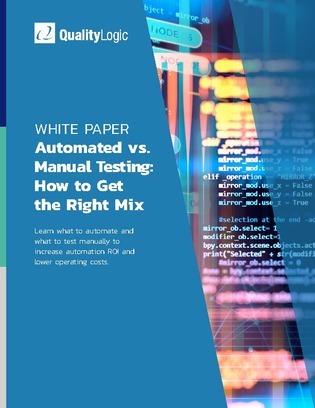 Take a look at this testing automation whitepaper to learn how to find the automation sweet spot for your Agile or DevOps team.